Enjoy the best inspirational, motivational, positive, funny and famous quotes by Armin Joseph Deutsch. Use words and picture quotations to push forward and inspire you keep going in life! 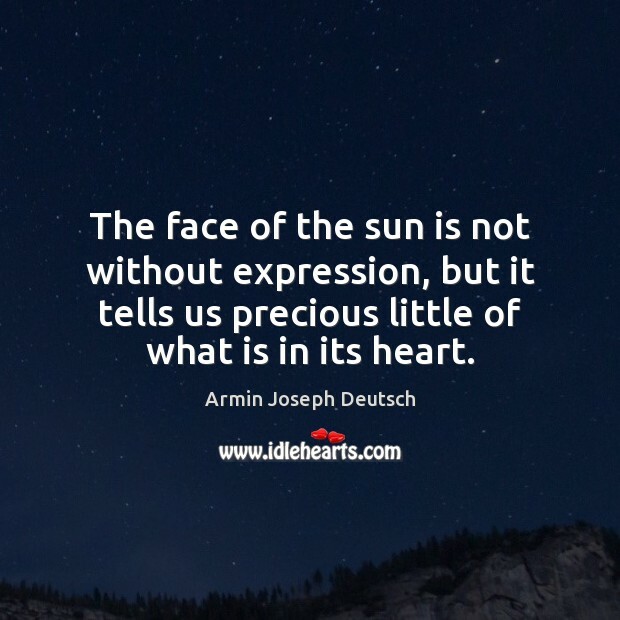 The face of the sun is not without expression, but it tells us precious little of what is in its heart.